When Will You Need to Remove Previous Owner Apple ID? Apple ID is used to log in to App Store and many other useful Apple services. Usually every iOS owner removes Apple ID from the device before selling or donating it. But if for some reason the previous owner didn’t remove their Apple ID, then you must remove previous owner Apple ID yourself. iOS is asking for the Apple ID password again and again which you may not have. You purchased a second-hand iDevice and want to use your own Apple ID for personalized services. How to Remove the Previous Owner Apple ID? There are two scenarios i.e. removing previous owner Apple ID when you know the password and removing it when you don’t know the password. The method to remove Apple ID is different for both scenarios. 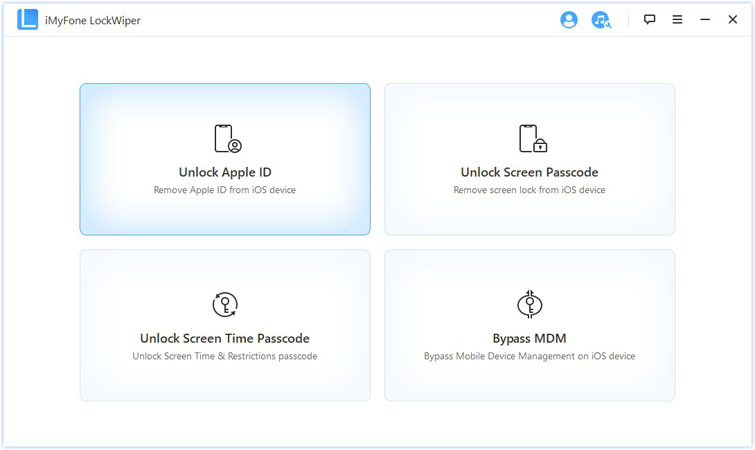 If you don’t know the Apple ID and password, then removing the previous owner’s Apple ID from your iDevice could be a little challenging but it is possible thanks to professional Apple ID removal tools such as iiMyFone LockWiper. 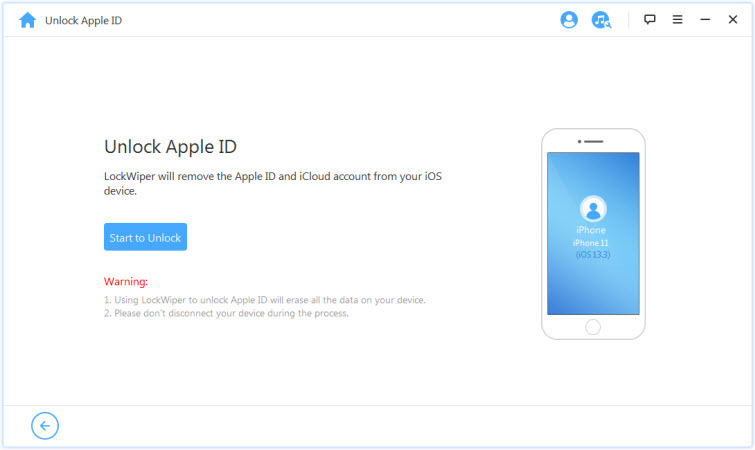 LockWiper is capable of unlocking/removing Apple ID from any iDevice quickly. 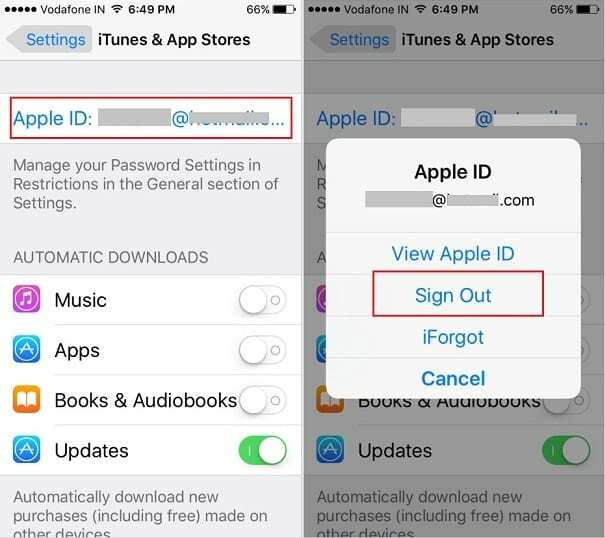 After removing the previous owner’s Apple ID via this tool, you will be able to use your own Apple ID without any issues. Remove Apple ID from any iDevice conveniently, even if you don’t know the password. Remove/bypass iCloud account from any iDevice quickly. LockWiper can remove any type of screen lock from your iDevice, including 4-6-digit passcode, Face ID, Touch ID, etc. This tool allows you to bypass iDevice lockscreen even if it has a broken screen or it is disabled for some reason. User-friendly software interface and straightforward lockscreen bypassing process. Step 1: Download, install, and open iMyFone LockWiper on your computer. Step 2: Connect your iDevice to your computer and make sure it is detected by the software. Step 3: From the home interface of LockWiper, click on Unlock Apple ID mode. Step 4: Click on Start to Unlock button to start the unlocking process. 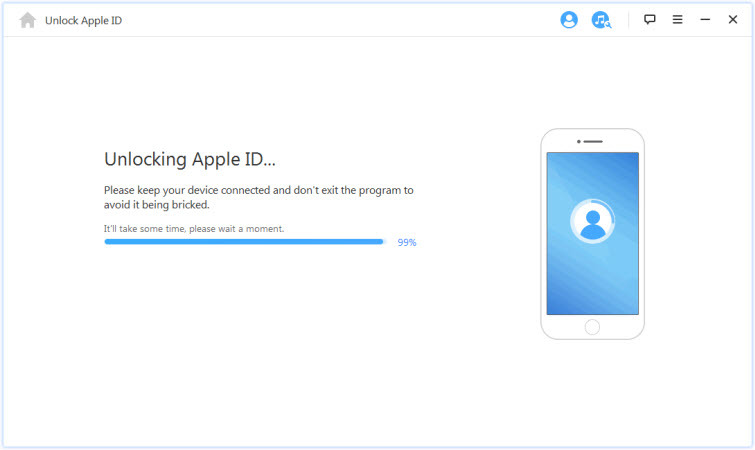 Once the unlocking process is completed, the previous owner’s Apple ID will be removed from the iDevice. Removing the Apple ID of the previous owner is quite easy if you know the ID and password. You will need to remove the Apple ID from App Store as well as iCloud. Step 1: Launch the Settings on your iDevice. Step 2: Scroll down and tap on the "iTunes & Apple Store". Step 3: Next, click on the Apple ID, then tap on "Sign Out". That’s it! Now you can input your Apple ID password and then tap Done to use your own Apple ID in App Store. 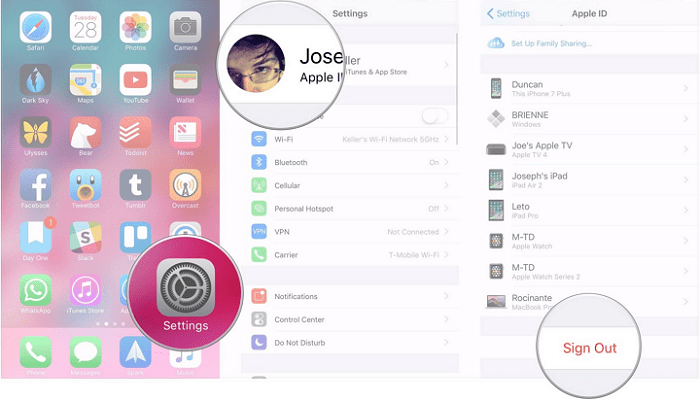 Step 1: Open the Settings app on your iDevice. Step 2: Tap the Apple ID account photo from the top of the interface. If the device has an older iOS version, then you will need to tap the iCloud option. Step 3: Now tap the Sign Out option. After that, you can sign in using your own Apple ID. Step 4: Next, scroll down and tap the Sign Out option. You will need to input the password of the previous owner’s Apple ID to disable‘Find My iPhone’ option when prompted. There could be a number of pitfalls involved when you are buying a second-hand iPhone. That’s why it is recommended that you take certain measures to make sure that you avoid those pitfalls. Purchase from a Reputable Dealer: Rather than buying the second-hand iPhone cheap from eBay or Craigslist, it is recommended that you find a reputable second-hand dealer. Check if the iPhone Works with the Carrier You Use: Most iPhones are locked to a specific carrier. That’s why you should make sure that the device you are going to purchase is not carrier locked. Check Whether the Activation Lock is Disabled: If the Activation Lock is enabled on an iPhone, it cannot be used without providing the current password. That’s why you should always buy an iPhone with Activation Lock disabled.